On this Sea to Summit Tour we travel through Gifford Pinchot National Forest, one of the oldest National Forests in the United States. We then Visit Mount St. Helens Visitor Center at Silver Lake and the Johnston Ridge Observatory for dramatic views of the blast zone. This Mt. St. Helens tour will give you an unforgettable look at one of the worlds true natural wonders. $159.00 per person, 4 person minimum or equivalent tour charge. Located in southwestern Washington about 50 miles northeast of Portland, Oregon, Mount St. Helens is the youngest of the major Cascade volcanoes, having formed in the last 2,200 years. Mt St Helens is an example of a composite volcano which are known to erupt explosively and pose considerable danger to nearby life and property. 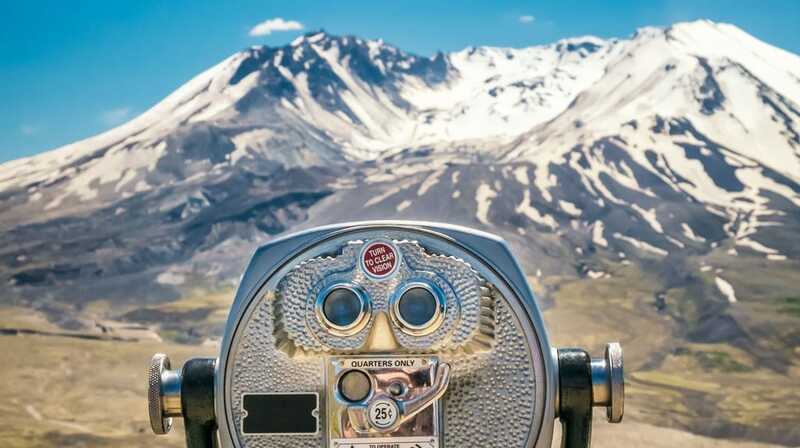 Before 1980, Mount St. Helens towered to 9,677 ft and was known as the “Fujiyama of America” thanks to its snow capped peak and symmetrical slopes. At 8:32 am Sunday morning on May 18, 1980, Mount St. Helens erupted. 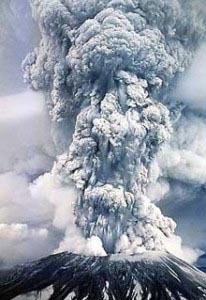 The eruption that lasted about 9 hours, turned day to night and drastically changed the landscape surrounding St. Helens to the present day. In 1982, the President and Congress created the 110,000-acre National Volcanic Monument for research, recreation, and education. Located at the end of State Highway 504 (52 miles east of Castle Rock), in the heart of the blast zone, the observatory offers stunning views of the out-of-this-world landscape. Highlights include interpretive displays that tell the biological, geological, and human story of Mount St. Helens. Visitors to Johnston Ridge Observatory can enjoy multiple award-winning films, listen to ranger talks, observe the landscape, purchase souvenirs, set off on a hike, or get a light lunch from the food cart. Sea to Summit Tours & Adventures is created, owned and operated by native Portland, Oregonian’s. Sea to Summit operates custom equipped 4×4 vehicles and our guides have the knowledge to provide you a spectacular and unforgettable tour experience while visiting region and the Pacific Northwest. Not quite your speed? Check out our wine tours!